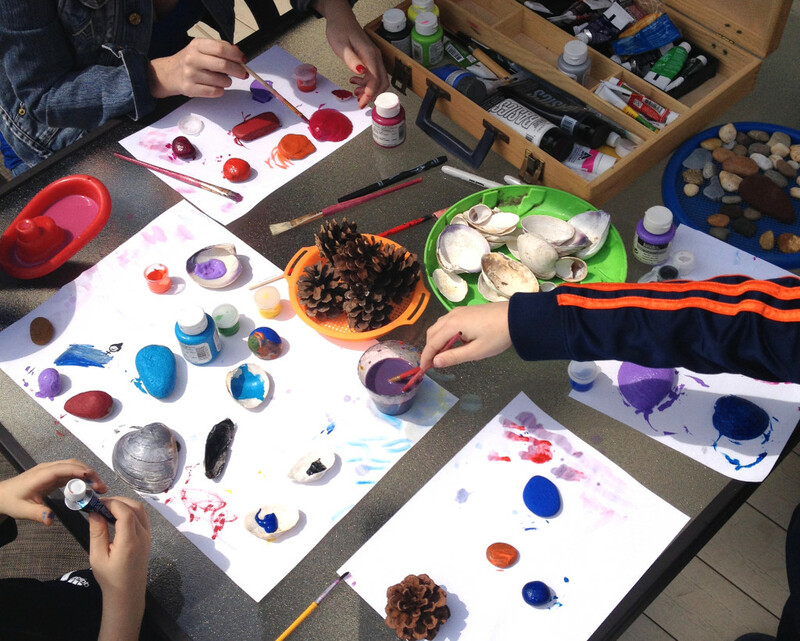 Finally the weather had mercy on NY and granted us a few days of summer mid April. 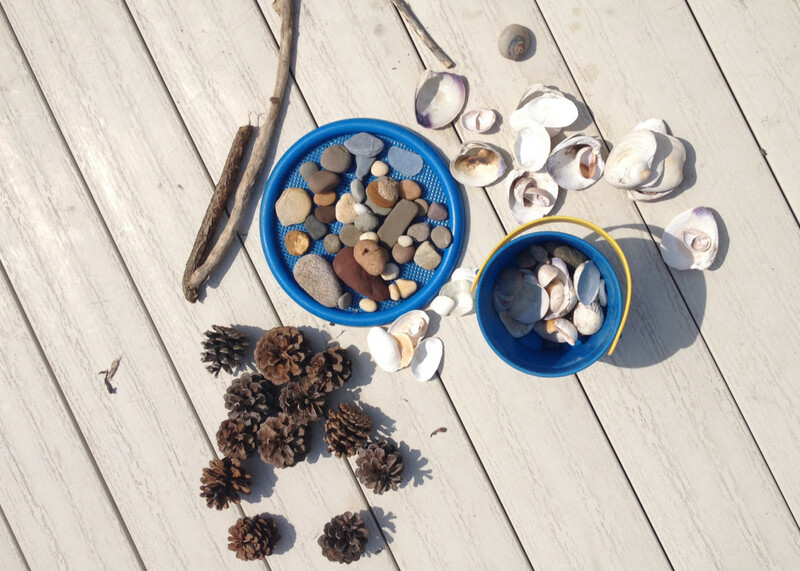 We went for a long walk on the beach collecting stones, shells, sticks and pine cones. 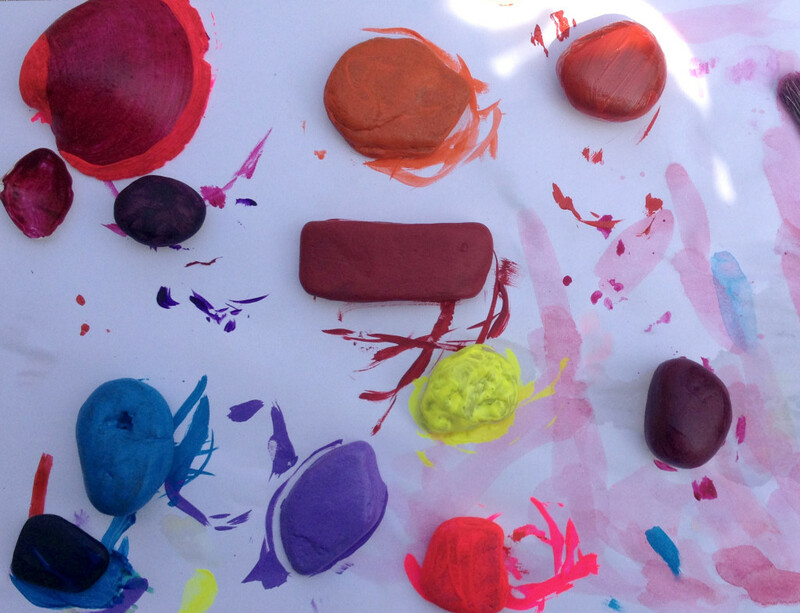 Back at home we washed all the treasure we have founded and let it dry on the sun. 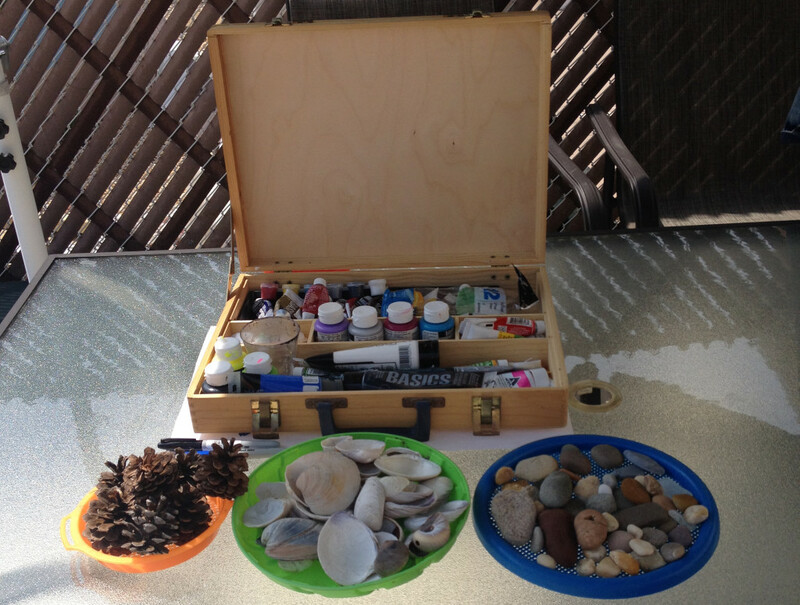 Meanwhile we gathered all our painting and craft supplies on the backyard table. 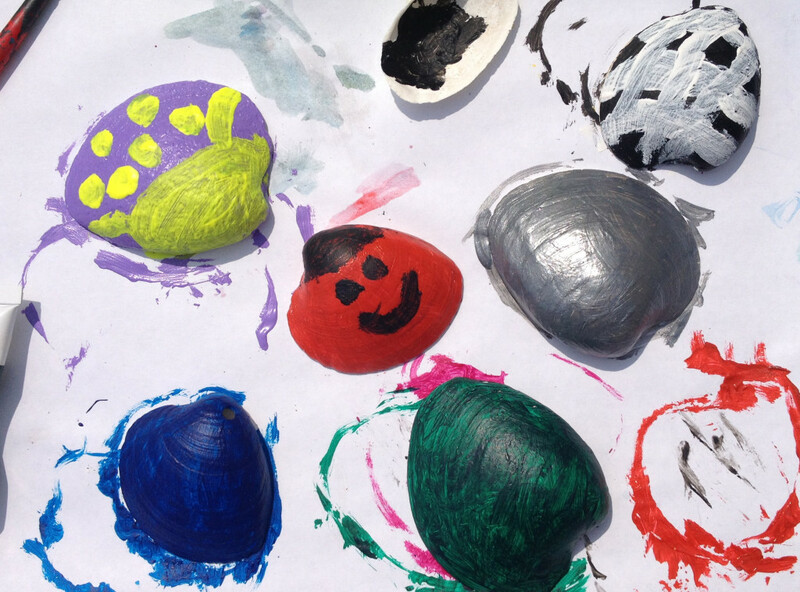 We decided to paint seashells and rocks adding to our beautiful collection from last year. 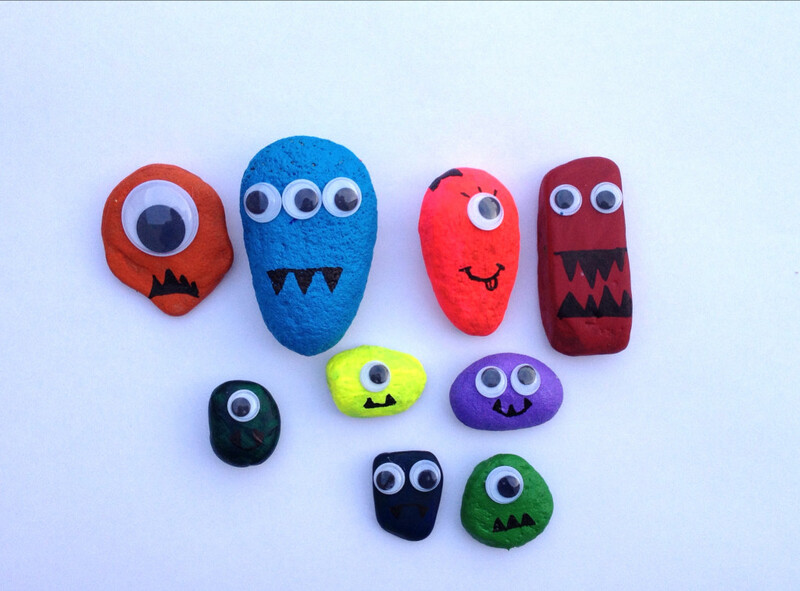 We used acrylic paint since that’s what we used last time and it came out really good. 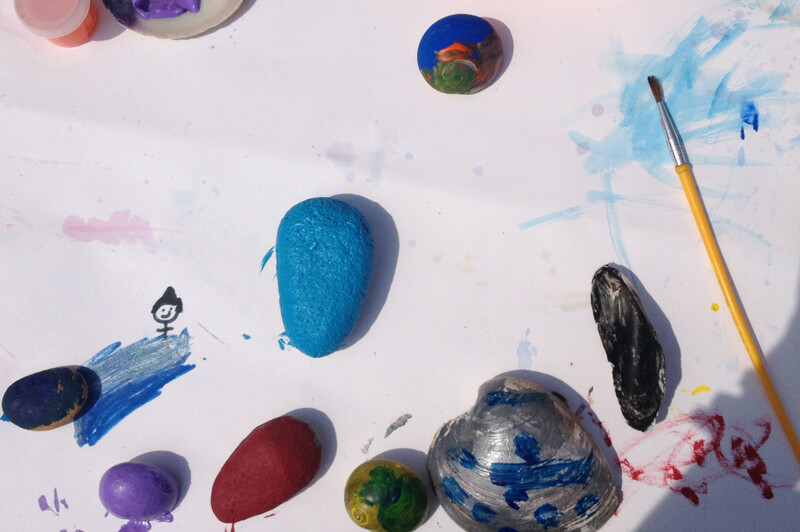 Some light colors needed two coats to cover the seashells and rocks, but since we worked outdoors, they dried up almost instantly on the sun. 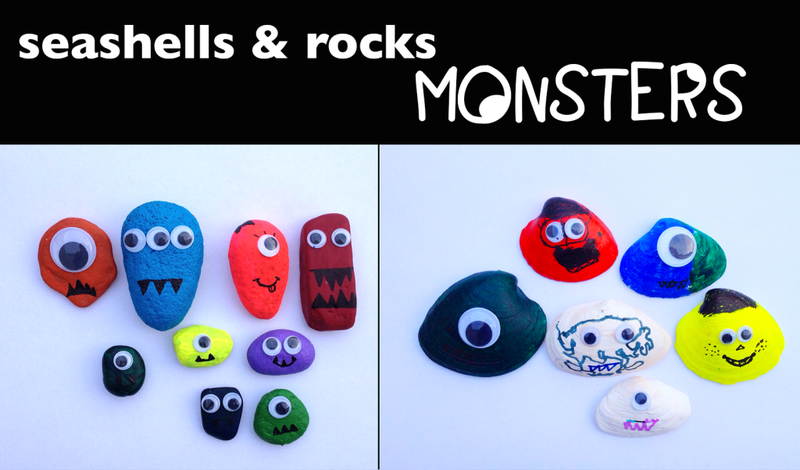 After everything was completely dry, we decided to dress up our seashells and stones with googly eyes, creating very cute little monsters. 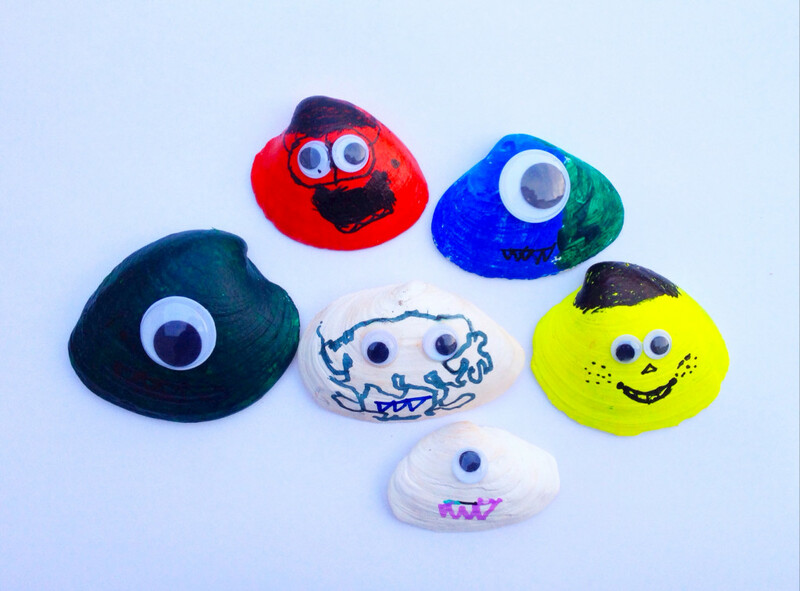 We also drew funny faces on some of the seashells.